Pride Bodies opened in Cambridge, Ontario on April 1, 1999. Russel Lanthier and Ross Williamson brought over 30 years of combined experience in the truck body industry. We started out as a small outfit with only 4 employees but were determined to make a name for ourselves as a quality truck body manufacturer. Today we employ 40 people at our plant in Cambridge and are expanding to accommodate the increasing demand for quality, custom bodies. We have added a 10,000 square foot addition to our 26,000 square foot building to accommodate our increased demand. 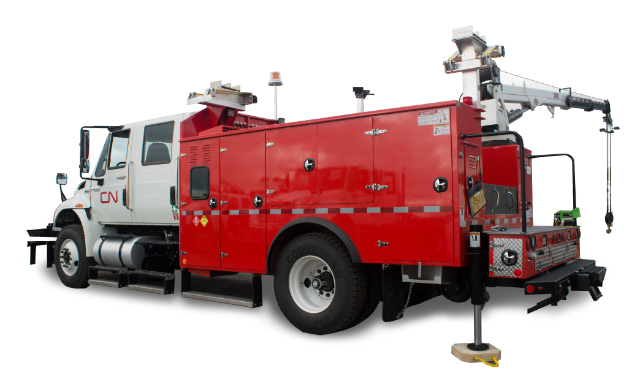 At Pride Bodies, we are able to offer custom design and fabrication of utility, service, construction and other custom truck bodies. The customer supplies a bare chassis and we deliver it back as a fully operational vehicle. We are a full service operation that starts from square one beginning with the engineering department customizing our bodies to the customer’s requirements. The manufacturing process begins in our plasma, brake and welding departments continuing into the paint department and finishing off in our assembly department. The assembly department completes all electrical, hydraulics and truck mounted accessory installs such as cranes, compressors, and lube systems, to name a few.